Rated as one of the safest big cities in America, not to mention one of the top places to live, Irvine is the perfect city for people to settle... precisely because it offers something for everyone. Irvine real estate has a diverse housing market that is comprised of a total of 40 villages, including a wide variety of condominiums, townhomes, and single family homes. Irvine finds itself as the hub of nearly everything that happens in Orange County, making it the ideal place to live, work & play. The City of Irvine was incorporated in December 1971. It is a masterfully planned city that was designed by Los Angeles architect William Pereria and Irvine Company employee Raymond Watson. Together they were responsible for designating sections of the city into "villages." Each village in Irvine has its own unique architectural influence. 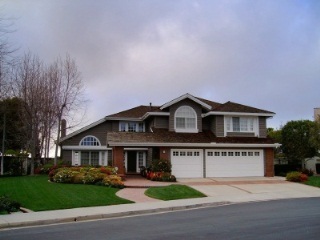 For example, if Spanish/Tuscan homes are your style for a single family residence, then you will find that the villages of Quail Hill, Portola Springs, Rosegate, Woodbury East, Woodbury, Orchard Hills, Shady Canyon, Turtle Ridge, and El Camino Real would make an ideal place for you to call home. For a mixture of architectural styles, the villages of Deerfield, Oak Creek, Turtle Rock, and University Town Center are renowned for their pleasing blend of variety in community designs and offer eclectic homes for sale. 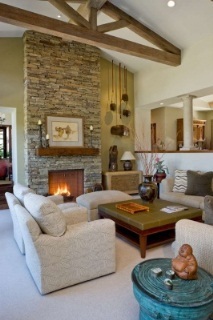 Irvine typically enjoys a Mediterranean climate, like most of the southern California coast. Summers range from warm to hot, while the winters are never more than cool. Most of the rainfall in Irvine comes during the winter months. Location-wise, Irvine homes for sale are conveniently situated with two major freeways, handy rail service (MetroLink Orange County Line), and the city enjoys its own airport. Public transportation is available through the Orange County Transportation Authority, as well as a special mass-transit bus service known locally as the iShuttle. Major roads in Irvine are built wide to allow smooth traffic and access to and from the center of town. Alternatively, in an effort to encourage bicycle transportation in Irvine, the city has created a system of designated bike lanes and trails. Currently, there are over 280 miles of on-road bike lanes in the city, as well as more than 44 miles of off-road mountain biking trails available. For the shopping enthusiasts, Irvine provides a variety of options between two world-renowned and first-rate shopping centers: South Coast Plaza and Fashion Island. Between these two locations, shoppers have a choice of retail establishments that include the trendy chains, highly upscale shops, and charming, exclusive boutiques.Should a family find itself in need of something to occupy the kids during a designated shopping afternoon, take a moment to visit the Irvine Spectrum Center. At this amazing facility, families will find all the top shops, restaurants, and entertainment to keep the younger set engaged... the Irvine Spectrum Center comes complete with a Ferris Wheel and an actual ice skating rink! All of these amenities are located in an outdoor, lushly landscaped setting. 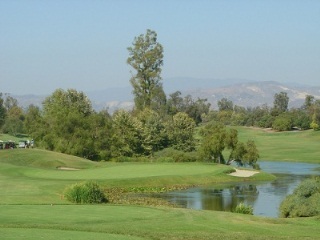 Irvine also offers championship golf courses in the surrounding area, along with a wide assortment of stimulating artistic and cultural activities. The Irvine Fine Arts Center, which offers free parking and a scenic location near a lagoon, provides exhibitions and performances year-round, as well as a broad range of art classes available for children, youth, and adults. With twenty community parks and thirty-four neighborhood parks, there are plenty of open spaces in Irvine, and there is certainly an abundance of places to go and things to do. The city offers exciting theme parks, beautiful equestrian trails, and even an authentic F-16 jet fighter simulator for the kids. Irvine also offers some of the most beautiful sports facilities in southern California, providing reserved fields for baseball, softball, soccer, and other sports. Tennis courts and a skate park are also available. All of these facilities are managed through the City of Irvine Community Services Department. Residents with pets will be pleased to note Irvine's Animal Care Center, which provides a range of animal services, including licensing and adoption. The Animal Care Center also organizes activities such as a community "Pet Trek" each year for families and their beloved animals. Volunteering and service options abound in the City of Irvine, and are available to match almost any humanitarian interest. The educational opportunities in the City of Irvine are recognized as some of the finest in Orange County. Irvine is the home to the University of California at Irvine, a public university campus offering both undergraduate and graduate programs. UC-Irvine is the second-newest campus in the entire University of California system, established in 1965. Other universities in Irvine include University of Southern California's Orange County Center, Concordia University, and the Irvine campuses of Pepperdine University, California State University at Fullerton, and Alliant International University. Irvine also offers a fine community college, Irvine Valley College. There are three public libraries in Irvine, as well: Heritage Park Regional Library, University Park Library, and Katie Wheeler Library. All three well-stocked libraries are available to provide research and pleasure reading opportunities for residents of all ages. Irvine's high school students are served by five high schools in the area. Four of them, University High School, Irvine High School, Northwood High School, and Woodbridge High School, are part of the Irvine Unified School District (IUSD). Arnold O. Beckman High School is also located in Irvine, although it falls under the jurisdiction and administration of the nearby Tustin Unified School District (TUSD). Sections of the northern and western parts of Irvine are within the TUSD. The Irvine high schools are all rated within the top 4% of high schools in the country which in turn creates high demand for homes for sale throughout Irvine. Elementary and middle schools are also available throughout the city, and there are two alternate schools, Plaza Vista School and Vista Verde School, offering K-8 education. There are a wealth of job opportunities and an array of development and expansion prospects that just add to the allure of Irvine as a perfect city to live, work, and play. If you would like further information or assistance regarding Irvine homes, houses & property for sale, contact the real estate experts at The Aaronson Group today!